1. Synthesis of nitrogen rich mesoporous carbon nitride with tunable pores, band gaps and nitrogen content from a single aminoguanidine precursor, Siddulu N. Talapaneni, Gurudas P. Mane, Chokkalingam Anand, Dattatry S. Dhawale, Ajayan Mano, Toshiyuki Mori and AjayanVinu, ChemSusChem, 2012, 5, 700-708. 2. Facile synthesis and basic catalytic application of 3D mesoporous carbon nitride with a controllable bimodal distribution, Siddulu N. Talapaneni, Srinivasan Anandan, Gurudas P. Mane, Chokkalingam Anand, Shaji Verghese, Ajayan Mano, Toshiyuki Mori and Ajayan Vinu, J. Mater. Chem., 2012, 22, 9831-9840. 3. Catalytic polymerization of anthracene in a recyclable SBA-15 reactor with high iron content by a Friedel–Crafts alkylation, Jeonghun Kim, Chokkalingam Anand, Siddulu N. Talapaneni, Jungmok You, Salem S. Aldeyab, Eunkyoung Kim and Ajayan Vinu, Angew. Chem. Int. Ed., 2012, 51, 2859-2863. 4. Preparation of highly basic and ordered nitrogen containing mesoporous carbons from gelatin biomolecule and their selective sensing capability for acidic molecule, Gurudas P. Mane, Siddulu N. Talapaneni, Chokkalingam Anand, Shaji Varghese, Hideo Iwai, Qingmin Ji, Katsuhiko Ariga, Toshiyuki Mori and Ajayan Vinu, Adv. Funct. Mater., 2012, 22, 3596-3604. 5. Microwave-assisted synthesis of highly crystalline mesoporous hydroxyapatite with a rod shaped morphology, M. Benzigar, G. P. Mane, Siddulu N. Talapaneni, C. Anand, S. Varghese, S. Aldeyab, V. V. Balasubramanian and A. Vinu, Chem. Lett., 2012, 41, 758-759. 6. Immobilization of chiral amide derived from (1R,2S)-(-)-Norephedrine over 3D nanoporous silica for the enantioselective addition of diethylzinc to aldehydes, Umesh Balakrishnan, Nallamuthu Ananthi, Sivan Velmathi, Mercy R. Benzigar, Siddulu N. Talapaneni, Salem S. Aldeyab, Katsuhiko Ariga and Ajayan Vinu, Microporous and Mesoporous Materials, 2012, 155, 40-46. 7. Direct synthesis and characterization of highly ordered cobalt substituted KIT-5 with 3D nanocages for cyclohexene epoxidation, ChokkalingamAnand, PavuluriSrinivasu, Gurudas P. Mane, Siddulu N. Talapaneni, Dattatry S. Dhawale, Subramaniam Vishnu Priya, S. Varghese, Yoshihiro Sugi and Ajayan Vinu, Microporous and Mesoporous Materials, 2012, 160, 159-166. 8. Preparation of mesoporous titanosilicate molecular sieves with a cage type 3D porous structure for cyclohexene epoxidation, Chokkalingam Anand, Pavuluri Srinivasu, Gurudas P. Mane, Siddulu N. Talapaneni, Dattatry S. Dhawale, Subramaniam Vishnu Priya, Shaji Varghese, Yoshihiro Sugi and Ajayan Vinu, Microporous and Mesoporous Materials, 2013, 167, 146-154. 9. Iron oxide nanoparticles embedded onto 3D mesochannels of KIT-6 with different pore diameters and their excellent magnetic properties, Sher Alam, C. Anand, Talapaneni S. Naidu, Salem S. Al-Deyab and A. Vinu, Chemistry: An Asian J., 2011, 6, 834-841. 10. Immobilization of chiral oxazaborolidine catalyst over highly ordered 3D mesoporous silica with Ia3d symmetry for enantioselective reduction of prochiral ketone, S. Velmathi, U. Balakrishnan, N. Ananthi, K. Ariga, Talapaneni S. Naidu and A. Vinu, Phys. Chem. Chem. Phys., 2011, 13, 4950-4956. 11. Preparation of conductive transparent adhesive films from carbon nanomaterials and polar acrylate, Byeonggwan Kim, Jeonghun Kim, Siddulu N. Talapaneni, Ajayan Vinu, and Eunkyoung Kim, J. Nanosci. Nanotech., 2011, 11, 6306-6311. 12. Highly efficient Friedel-Crafts alkylation of indoles catalyzed by mesoporous 3D aluminosilicate catalyst with electron deficient olefins, T. Siddulu Naidu, V. V. Balasubramanian, T. Mori, M. A. Chari, S M J. Zaidi, Salem S. Al-deyab, B. V. Subba Reddy and A. Vinu, Synlett, 2010, 18, 2813-2817. 13. Superior adsorption capacity of mesoporous carbon nitride with basic CN framework for phenol, E. Haque, J. W. Jun, Siddulu N. Talapaneni, A. Vinu and S.H. Jhung, J. Mater. Chem., 2010, 20, 10801-10803. 14. Synthesis of triazolo indazolones using 3D mesoporous aluminosilicate catalyst with nanocage structure, M. Adharvana Chari, G. Karthikeyan, T. Siddulu Naidu, B. Sathyaseelan, S J M. Zaidi, and A. Vinu, Tetrahedron Lett., 2010, 51, 2629-2632. 15. Adsorption of phenol on mesoporous carbon CMK-3: Effect of textural properties, E. Haque, N. A. Khan, Siddulu N. Talapaneni, A. Vinu, and S. H. Jhung, Bull. Korean Chem. Soc., 2010, 31 (6), 1638-1642. Message: I was born in Siddanakonduru, Andhra Pradesh, India, in 1985. I received BSc degree, first class with distiction from Sri Venkateswara University, India in 2005. I studied MSc. Chemistry in 2007 at the National Institute of Technology-Warangal (NIT-Warangal), India. I obtained his MSc thesis in the group of Dr. K. R. Justin Thomas from Chemistry department at the Indian Institute of Technology-Roorkee (IIT-Roorkee), India. From 2007–2009. I worked as a Research Associate in GVK Biosciences Private Limited, Hyderabad, India. 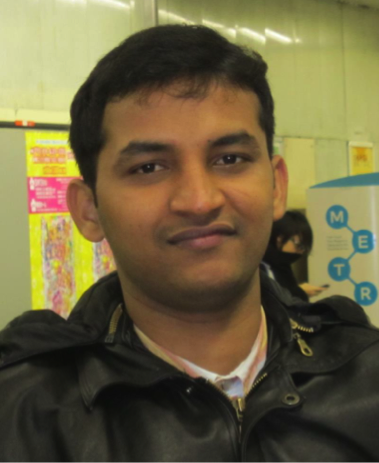 Then, I moved to Japan in 2009 and completed my PhD in July 2012 on functional mesoporous nitride materials for the selective adsorption and catalysis in the group of Prof. Ajayan Vinu at the World Premier International Center for Materials Nanoarchitectonics (WPI-MANA) in National Institute for Materials Science (NIMS), a number one materials institute in Japan based at Tsukuba, Japan in collaboration with Hokkaido University, Sapporo, Japan. During my PhD, I mainly focused on the synthesis of functional mesoporous materials such as mesoporous carbons, carbon nitrides and mesoporous silicates having different textural parameters and multiple functions with the aim of adsorption, separation and catalysis. Soon after my graduation, I joined in the group of Dr. Svetlana Mintova at the laboratory of catalysis and spectrochemie (LCS), ENSICAEN in Caen, France to work on fabrication of defect free functional nanosized zeolite materials for the selective detection of automobile exhausts. I recently joined to our young and dynamic research group of Professor Ali Coskun-MONA lab. 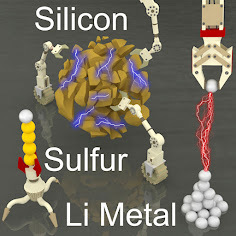 I am currently working on the preparation of CN containing novel multi functional porous materials for clean energy and environment and also porous carbon or graphene based materials for H2 storage and Lithium batteries.